Have discoloration, scarring, pigmentation or sun damage on your face that you’ve struggled to get rid of? Heard the term microdermabrasion but not sure what it really means? Been told you should book a microderm service but want to know what you’re in for? Whatever the circumstance, you’ve likely heard the term microdermabrasion. But what does it mean, and what does a service entail? We’re here to answer all your questions! In a nutshell, microdermabrasion (or microderm, for short) is the gentle “sanding” of the face using tiny crystals that exfoliate away the upper layer of your skin. Your skincare provider, whether a dermatologist, esthetician, or plastic surgeon, uses a minimally abrasive instrument that works to shed the uppermost layer of your skin and encourage your skin to regenerate new layers. Technically, you’re damaging this outermost layer of the skin, called the stratum corneum, but this is a strategic move which encourages cell production within the deep layers of the skin, called the basal layer. 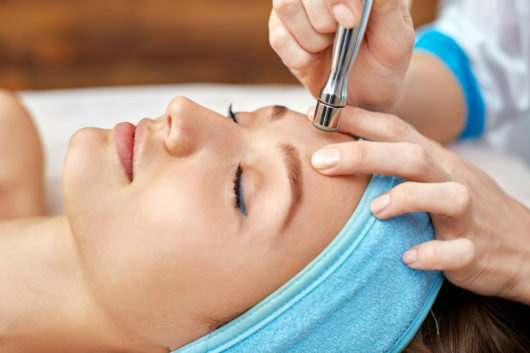 Microdermabrasion is best for those who suffer from age spots, uneven skin tone or dark spots and can be thought of as an intense, physical exfoliation treatment. It’s an ideal option for those with less sensitive, thicker skin. There is a difference between dermabrasion and microdermabrasion. Dermabrasion uses a more abrasive method that not only removes the top layer of your skin but it also digs deeper into the dermis. It requires some form of numbing medicine and can take up to 12 days for full recovery. Dermabrasion is best for smoothing wrinkles and eliminating severe scarring. Just like with any other skin procedure, there are things to know and do before getting microderm. If you don’t have a trusted esthetician or dermatologist, research the best skin professional before you book your treatment. Learn who the experts are in your area, other people’s experiences with them and who is highly recommended. When it comes to your skin, you don’t want to take any chances so making sure the person performing your procedure is reputable is number one. Researching will also give you an idea about cost — don’t be afraid to call spas or dermatologists office and ask questions! Look into the types of microderm you can get — some spas or dermatologists will include microderm in a longer facial service, others will just offer a mini facial and then a more extensive microderm session. When you do book the service, be sure to ask if you need to stop or change any parts of your skincare routine before your appointment. You shouldn’t be getting microdermabrasion if you have skin conditions such as rosacea, eczema, dermatitis, herpes, lupus, open sores, psoriasis, fragile capillaries or widespread acne. Before any skincare appointment you should have a consultation with the professional who will be treating you. Ask your skincare provider about the type of microderm tool being used so you can understand how it works — some use crystals, others diamond, and other machines crystal-free. Whatever you feel you need to know, no matter how insignificant you think it might be, don’t be afraid to ask. Once you’ve booked your service, it’s best not to change your regular routine leading up to the day of the treatment. The exceptions are exfoliating creams and/or retinol products (especially Retin-A). 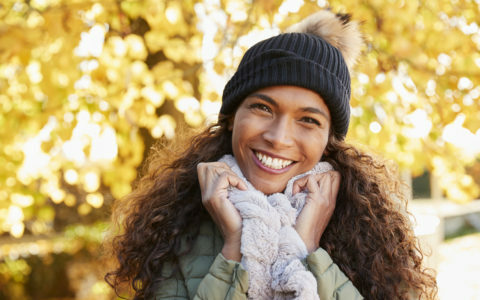 It’s best to forgo tanning, tanning creams and sprays at least a week before your treatment and probably best to avoid getting botox, waxing, or other kinds of facials before your appointment — all of this can have adverse effects during and after microdermabrasion. The main thing you want to make sure you do during your treatment is relax. You are there for a service by an expertly trained professional. There isn’t much you can do besides listen to them and enjoy letting someone take amazing care of your face! There may be some discomfort, but nothing unbearable — if you do feel pain, make sure you say something! After your procedure, you have to do your part to ensure the healing process happens correctly. Use a gentle, cleansing face wash and keep your skin moisturized and clean. If your face feels especially dry or you have any residual pain, you can use an anti-inflammatory cream. Try not to be in the sun (your skin will be extra sensitive to light and UV rays), skip any acne medications for at least 24 hours after, and if you experience peeling, do not pick at or scratch the treated areas — picking will likely leave unwanted scarring. Finally (and as always!) stay hydrated by drinking lots of water.